In an exclusive interview to agency, Sinha said he had won from Patna Sahib in 2014 on his own merit, without support from the party and feels that this time he could break his “previous records” in terms of victory. Sinha said he purposely did not call top BJP leaders such as “friend, philosopher, guide” Advani, Joshi, Yashwant Sinha, Sushma Swaraj, Rajnath Singh in the 2014 polls for campaigning. He also hailed Rahul Gandhi’s leadership qualities, saying the Congress president is a man to be watched for his vision and dynamism. “The way he has taken up issues boldly, he has proved himself and in one year as as Congress president he has won three states despite EVMs and many hurdles. 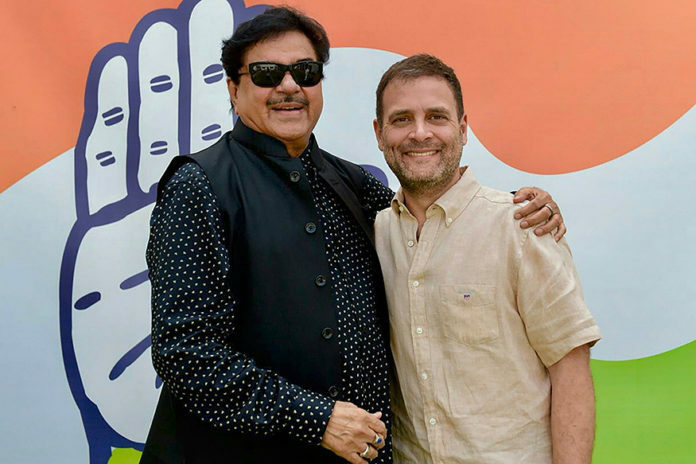 He is the originator of the most popular slogan — ‘chowkidar chor hai’,” Sinha said.